Equipment-mounted drills can be mounted to a backhoe or excavator to quickly move from one patch the next. Concrete drilling projects can cover one mile to a hundred, and a few holes to thousands. But before choosing a drill based on the clear facts, you'll need to hammer into the details, which could reveal that bigger isn't always better, less could be more and working smarter not harder goes a long way. 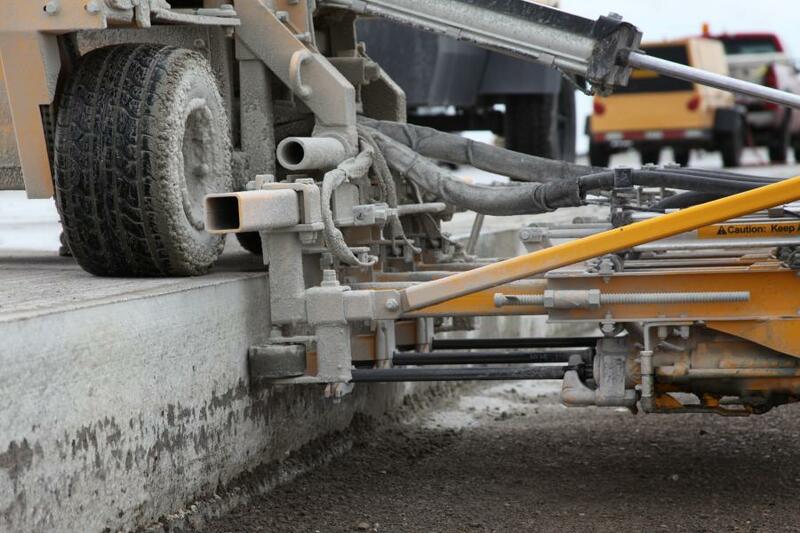 From handheld to on-grade and slab rider to equipment-mounted, there are several different types of concrete drills with various features and capabilities that can affect everything from efficiency to accuracy and ease of use to safety. The simplest drills are handheld electric hammer or pneumatic rock drills. They get the job done, but come with three significant drawbacks. First, they can lead to injuries of the hands and arms since operators absorb the machines' vibrations. In addition, lifting and re-positioning the drills at the next spot can lead to back injuries. Second, they are slow. Operators can only drill one hole at a time and to top it off they can have a hard time maintaining consistent pressure that's needed fast, effective drilling. And third, handheld drills are inaccurate. There is simply no way an operator can drill holes perfectly straight by hand. Faster, safer and oftentimes specified options are dowel-drilling machines that don't require operators to hold them. 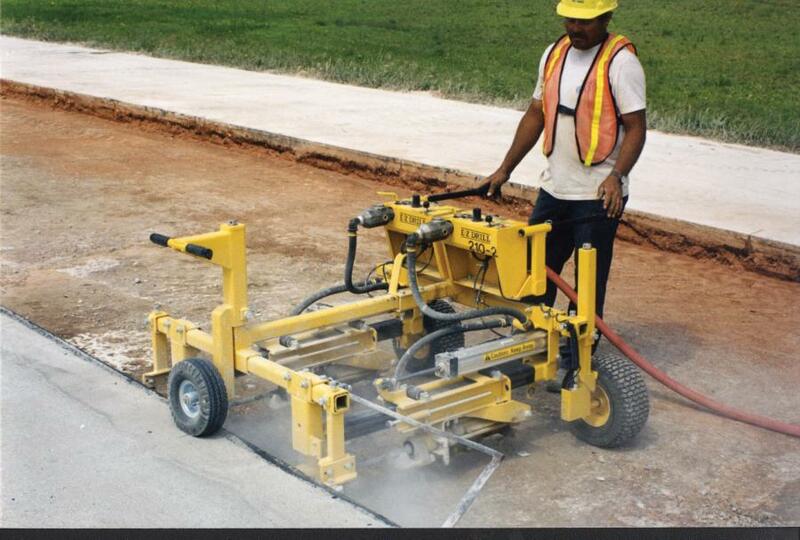 One type of dowel drilling machine is an on-grade drill that sits on the subgrade and drills into the slab. They are available in mobile as well as stationary models. Stationary drills typically are small but lightweight, so operators can easily reposition them. And even though they don't come equipped with wheels, most manufacturers can add wheels to make them mobile. Mobile units, while typically bigger, are even easier to reposition because they are equipped with wheels that roll along the subgrade. Drills that work from the slab rather than the subgrade are called slab riders. They operate without disturbing the subgrade and are equipped with up to five drills for even greater efficiency on some large projects. They are bigger than on-grade models, but are equipped with wheels and auto alignment features for fast and easy repositioning. Some are even self-propelled for quick maneuvering to the next drilling spot while an optional towbar attachment pulls the air compressor. For added versatility, some slab riders even can be converted to drill on-grade, which gives contractors the versatlity to work on a variety of drilling projects. Equipment-mounted drills also work on the slab, but are attached to a backhoe or excavator that repositions them quickly. They are available with three to five drills, and can rotate 360-degrees to quickly drill on opposite sides of a slab without moving the carrier machine. Equipment-mounted drills also feature adjustable spacing and smooth, precise shifting capabilities that allow users to drill a second set of holes without repositioning. Understanding the types of drills is a good place to start when selecting one for a project, but you also must consider jobsite limitations. If there are only a few inches of slab exposed, an on-grade drill is your only option. And if there isn't much area to work on the subgrade, like in smaller patches, you might need a more compact model with fewer gangs. Single gang, on-grade drills are lightweight and load easily into a truck, which makes them a great choice for projects where you will need to move frequently. However, they might not be an efficient option for large projects that cover greater distances. That's when it's time to take a look at larger models. Slab rider drills are considerably heavier, so they must be loaded onto a truck or trailer to be towed to the job site, and unloaded with a forklift or other piece of machinery. While the logistics might be more challenging compared to on-grade drills, slab riders can deliver greater efficiency on large, long-distance projects like lane additions. 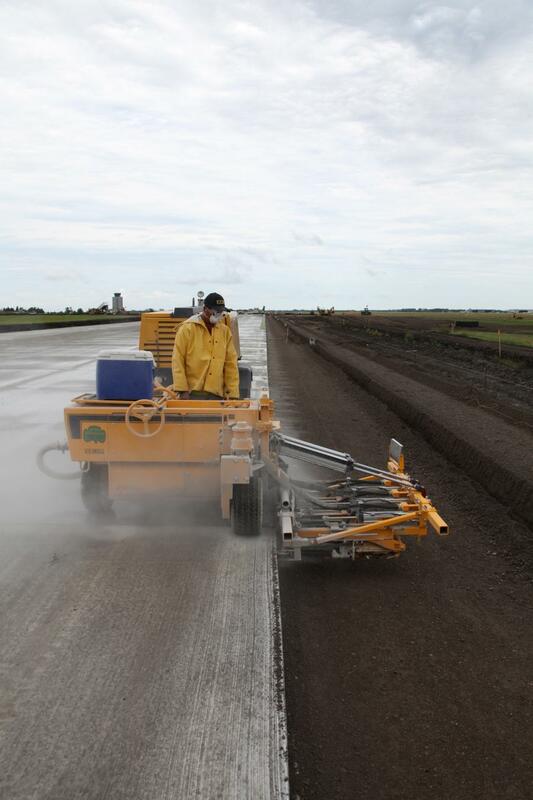 Also, because they are mounted on wheels, self-propelled and don't need to operate from the subgrade, they can quickly and easily move from one patch to the next. This also makes slab riders ideal for full-depth repair jobs where patches are located in close proximity to one another. And finally, slab rider drills reference from the top of the slab, which is more level than the subgrade. As a result they are more accurate. On larger full-depth repair projects that consist of multiple intermittent patches that span several hundred feet, an equipment-mounted drill might be the most efficient. Rather than loading an on-grade or slab rider drill and driving it to each new patch, the operator simply lifts the drill with the backhoe or excavator and drives to the next patch. While basic jobsite conditions will help narrow down your decision, the number of gangs also is a factor. Single-gang drills are typically ideal for jobs that require several hundred to a few thousand holes, while two-gang drills are better suited for 5,000 to 10,000 holes. And as the number of holes increases, so can the number of drills on a machine. But choosing the right number of drill systems can go beyond the size of the project. For example, concrete slabs need time to set before they can be drilled, and in some cases several pours are required. Some of these projects might include a lot of holes, but a smaller drill with fewer gangs could be more cost effective because operators are limited in terms of how many holes they can drill at a given time. 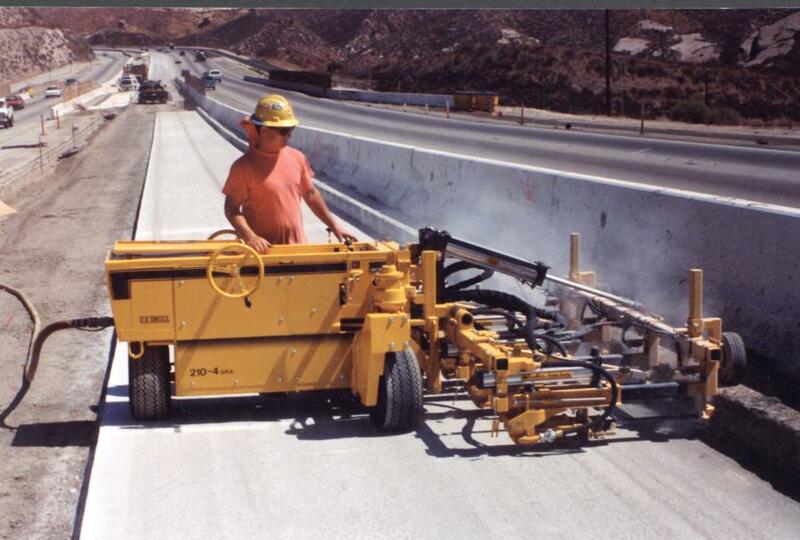 On the other hand, if you only can drill during certain hours of the day or night, which is common on busy interstate projects where minimal traffic interruption is allowed, a high production rate is a must, even if the total number of holes isn't high. So while a single-gang would get the job done, a multi-gang will drill more holes in the shorter time period. Keep in mind that if you increase the number of drill systems, you'll also need more air to power them. Each gang operates independently and typically requires about 100 cfm from an air compressor, so if you're operating a five-gang drill, at minimum you're going to need a 500 cfm air compressor. Whether it's on-grade, slab rider or equipment-mounted, matching the right drill with the project takes more than knowing the surface details. To be sure you're making the best impact on your efficiency, accuracy and productivity, drill into the details. Randy Stevens is the vice president of sales at E-Z Drill. He has been with the company for more than 20 years. 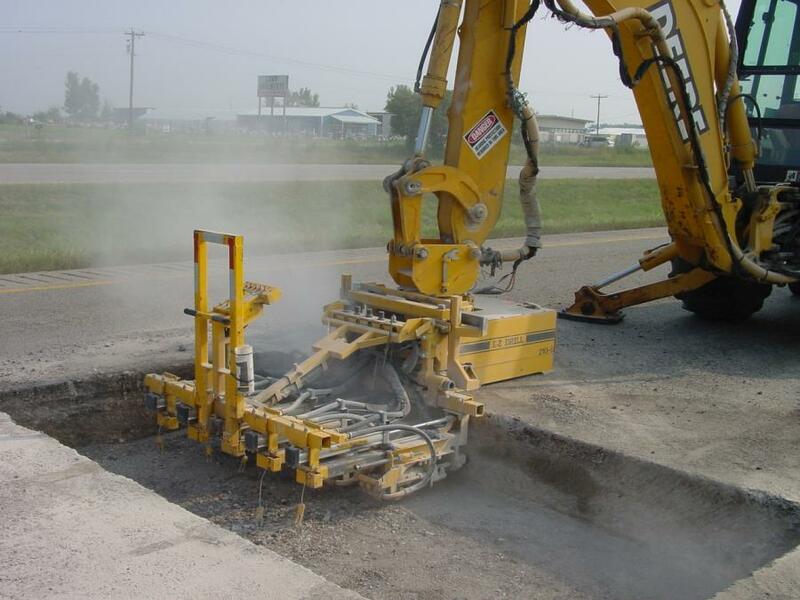 Stevens has served on various committees of the Association of Equipment Manufacturers (AEM) and is a member of the American Concrete Pavement Association.